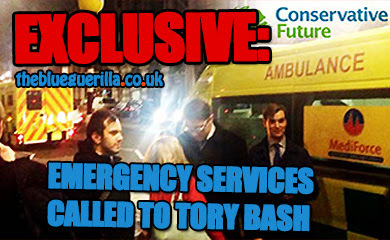 TheBlueGuerilla: EXCLUSIVE: The Curious Case of 'Gavin Cook' & The Tory Youth Smear Campaign. 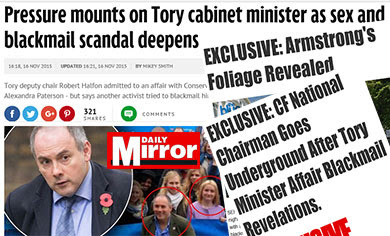 EXCLUSIVE: The Curious Case of 'Gavin Cook' & The Tory Youth Smear Campaign. 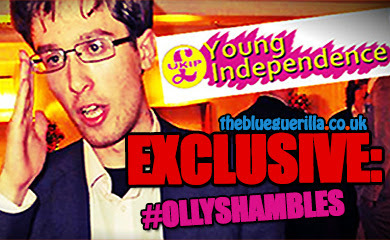 More Tory Youth election material attacking Oliver Cooper for his 'links' to UKIP have been circulating online for the past 24 hours. tbg can reveal, with evidence obtained and sources protected, the attack ad email seems to have originated from somebody named as a 'Gavin Cook'. 'Gavin' was busy with his new Twitter account on Sunday night/Monday morning attacking Oliver Cooper and wishing Paul Holmes well in his quest to become Leader of the Tory Youth Brigade. 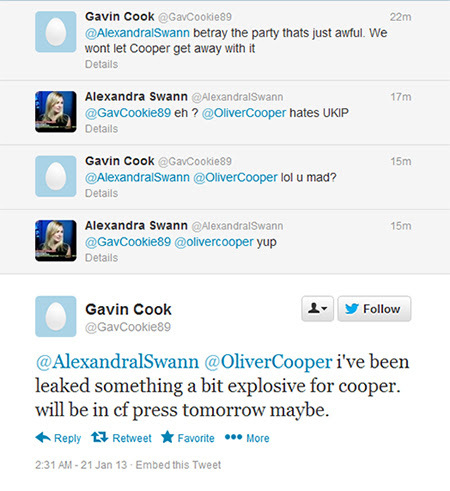 Tweets show that 'Gavin Cook' interacted with Paul Holmes and Oliver Cooper, even had time to tweet Louise Mensch, Harry Cole, Guido Fawkes, The Blue Bulletin, DASHTory, The Old Lion, London Spin and tbg. 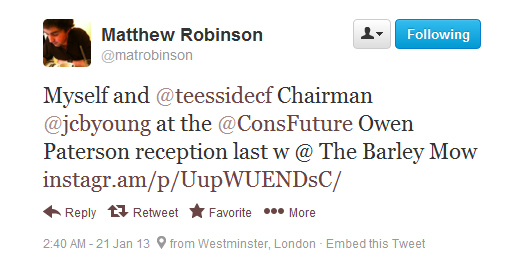 'He' did not interact with CF Chairman candidate Matt Robinson, who was flirting with Twitter during the same hour, just minutes apart in fact according to the respective time stamps. Another candidate in the Conservative Future elections who is said to be close to Robinson and signed his 'binding principles' document was using Twitter during the same early hour and also had no interaction with 'Gavin'. 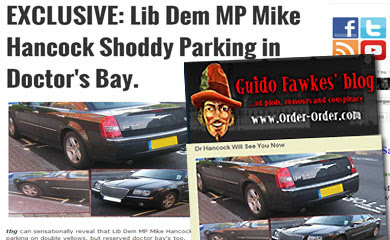 'Gavin Cook' says he didn't want theblueguerilla or London Spin to know that it was his identity that released the latest attack ad in an email to the new start-up blogs, whom said only last week they wouldn't publish such material. Note the different text size going on. Written as the first person, the first paragraph is a poor slap-dash copy & paste job, from another document or chat-box perhaps? In any case this evidence points toward the wording of the accusations having been prepared elsewhere therefore a possible conspiracy. The theory as to why this would help Cooper is rather amateur, and muddled as Oliver Cooper has soaked up attack ad after attack ad this month and it has not improved his assumed standing in recent polls of 2nd spot. How 'Gavin' "got hold" of this attack ad is unclear. However, it is not a forwarded (Fw:) or chain email, which might indicate the attached attack ad file had been uploaded by 'Gavin' from his computer. All this evidence further indicates dirty tricks campaign tactics in an already explosive race to become the next Leader of the Tory Youth movement. [READ] Holmes under attack in new viral ad campaign. He sent this to #thingselliottsays too. After 1 min research I found this to be a load of piffle. Can't people run a campaign instead. It is time to expose Matt Robinson and his advisors. Grow up please. I was planning to vote for Robinson, but after all these attack ads, I must say I've changed my mind. and if anyone tells me he's innocent, then they're either part of their group or are just stupid. This is all Oliver Cooper's doing. Why are people so desperate to smear Robinson? Because he's the front-runner!!! Don't believe all this Cooper tripe. Matt is a sneaky little boy and his accomplice Ben Corbridge looks like Satan. How anyone can trust or vote for them is beyond me. SJ Sewell won last year because she had the support of regular cfers. She was one of them. This year, she lost all that after joining the Robinson gang. She'll still win though, but for different reasons. I reckon this is all an attempt by Cooper to smear Robinson and (judging by some of the comments above) it looks like its been rather successful. Trust me, Matt Robinson is too busy to have done this. On the other hand, I can imagine Cooper sitting up late in his pajamas concocting various wicked schemes and giving off the occasional evil Dracula-like laugh. @8:38 - Cooper doesn't wear pyjamas!